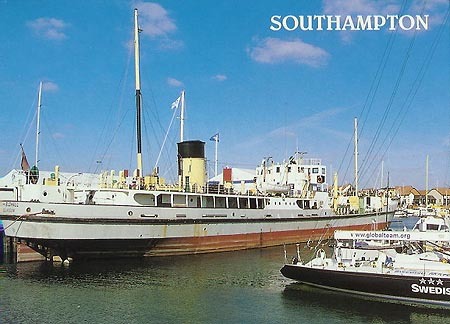 This page is devoted to postcards of the preserved steamship Shieldhall, operated by Solent Steam Packet Limited. 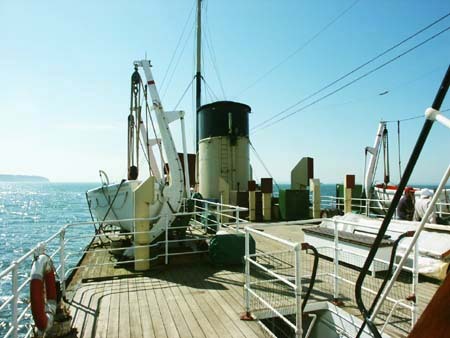 Photographs from 2004 onwards are shown on Shieldhall - Page 2. 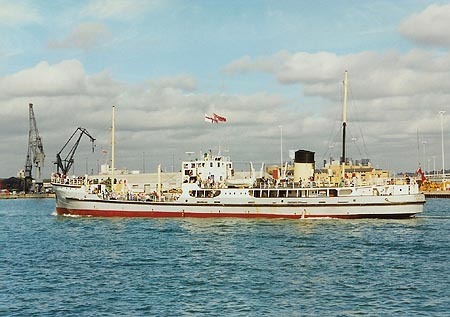 Shieldhall was laid down in October 1954 and entered service in October 1955. 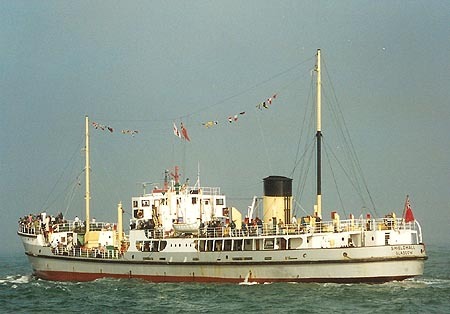 Built by Lobnitz & Co., of Renfrew, she is of special interest as she was built on older classic lines with a traditional wheelhouse, of riveted and welded construction with a straight stem and a cruiser stern. 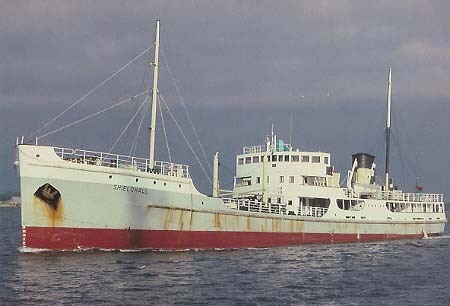 Shieldhall was operated by Glasgow Corporation to transport treated sewage sludge down the river Clyde to be dumped at sea. She continued a tradition, dating back to the First World War, that Glasgow's sludge vessels carried organised parties of passengers when operating during the summer months. 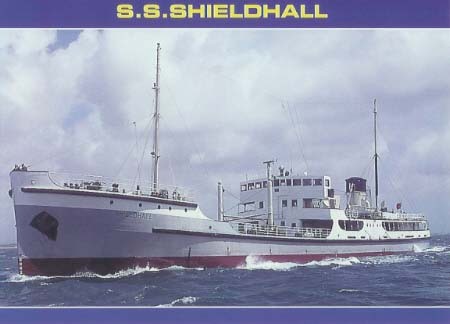 Thus Shieldhall was built with accommodation for 80 passengers. 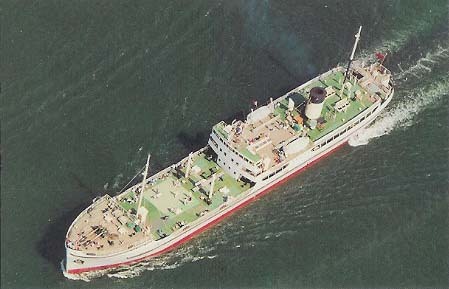 In 1976, after 21 years of faithful service on the Clyde, Shieldhall was laid up. 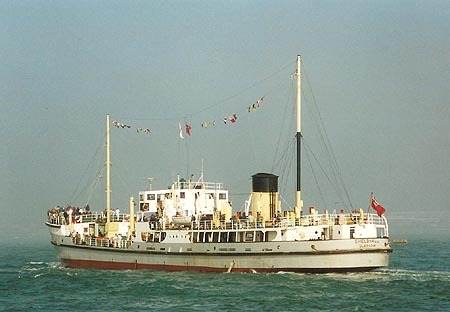 Shieldhall was purchased by the Southern Water Authority in 1977 and after minor modifications, she carried sludge from Southampton to an area south of the Isle of Wight for five years from 1980. 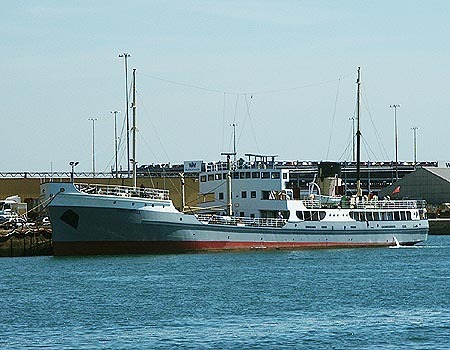 It was when she was suddenly withdrawn from service in 1985, due to rising fuel prices, that active preservation began. 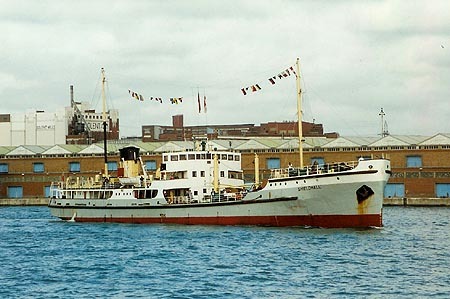 As a result of an initiative by the Southampton City's Museum Services, a preservation society was formed and Shieldhall was purchased from Southern Water in 1988, for £20,000. 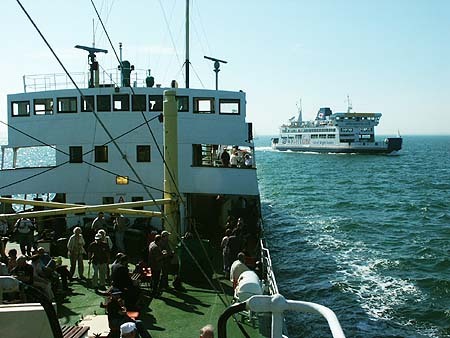 The Society is registered as an Industrial and Provident Society as The Solent Steam Packet Limited and operates as a charity. 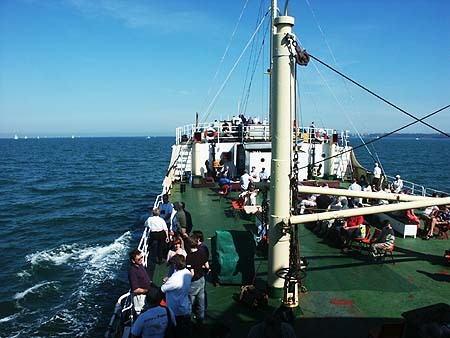 All work associated with the Society and Shieldhall is carried out by unpaid volunteers. 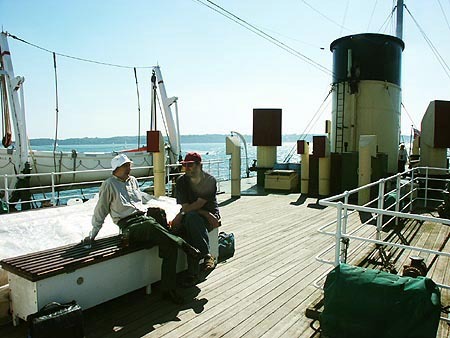 Much work has been done on the ship by these volunteers in order to keep her in sea-going condition. The saloon has been restored and the galley brought up-to-date. 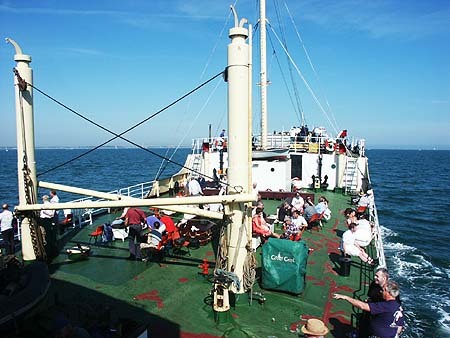 Crewed by volunteers, Shieldhall is a frequent sight around the Solent running excursions and such like. 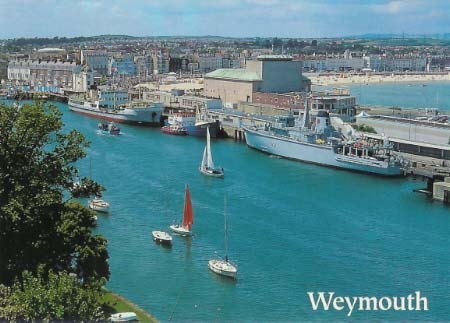 She has been to Holland for the Dordrecht Steam Festival and she has been an attendee at each of the International Festivals of the Sea at Bristol and Portsmouth. Shieldhall - Page 1 - Postcards and photographs up to 2003 - this page! 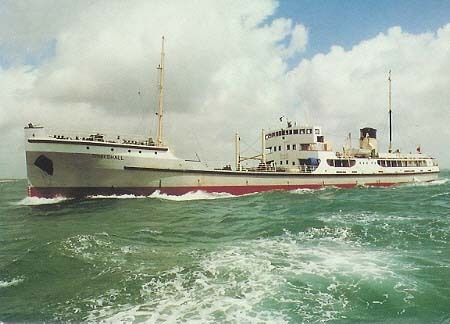 Shieldhall on one of her last working trips for Southern Water. 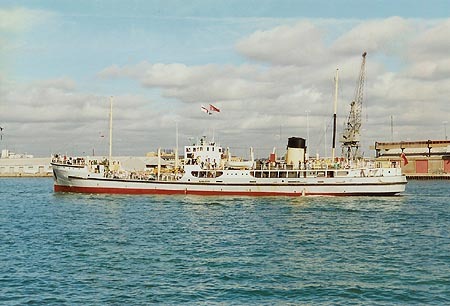 Shieldhall on her first trip following restoration. 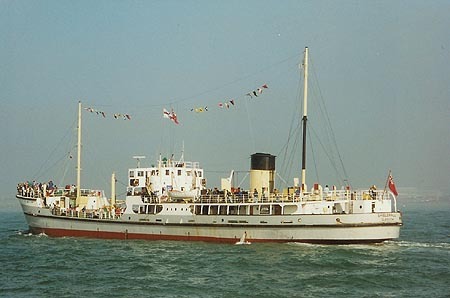 Shieldhall on her second trip following restoration. 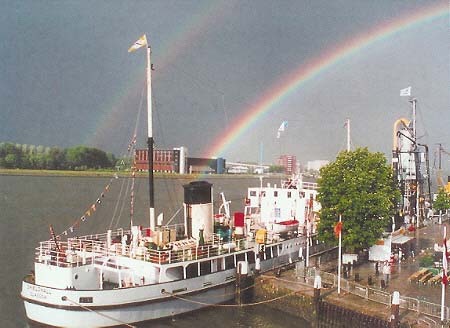 Postcard of Shieldhall at Dordrecht. 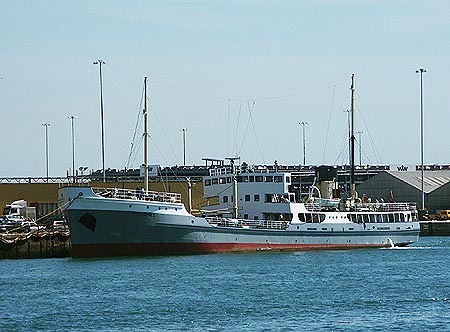 Shieldhall at Weymouth (Salmon 2-54-08-29). 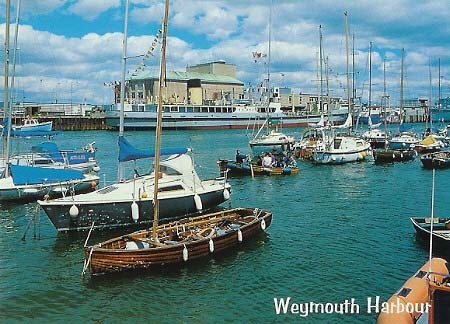 Shieldhall at Weymouth (Salmon 2-54-08-61). 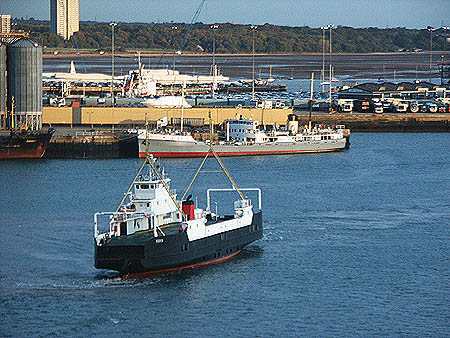 Shieldhall in Southampton Water, 30th September 1997. 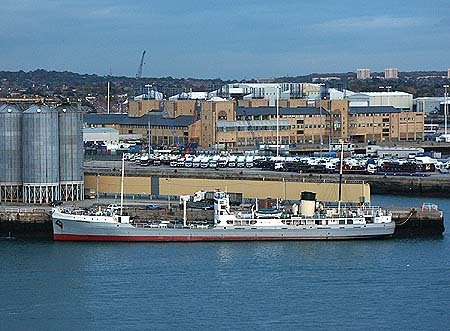 Shieldhall with Red Funnel's Bergen Castle. Photo: &COPY; Ian Boyle, Southampton, 25th October 2003. Photgraphs taken 12th July 2003 on a cruise around the Solent. 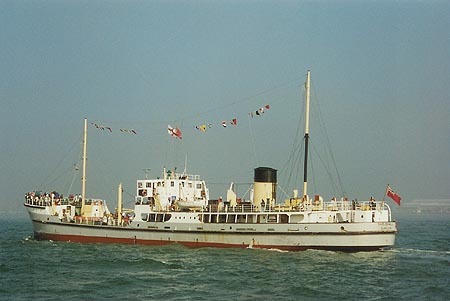 Shieldhall prior to the cruise. 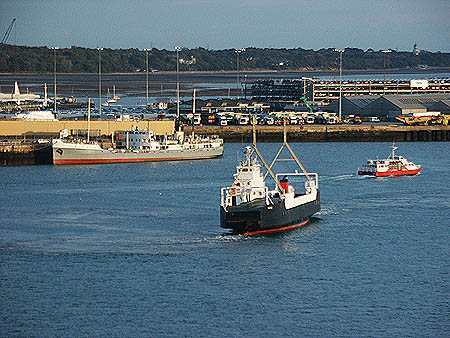 Shieldhall and a Wightlink ferry. 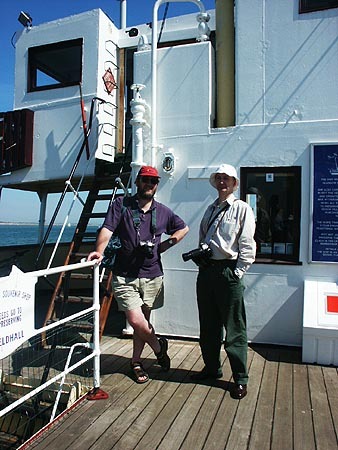 On board Shieldhall - Ian Greig and Mike Tedstone.